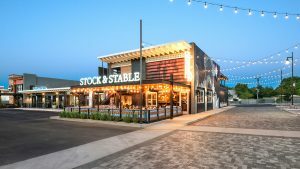 An American gastropub with Italian influence, Stock & Stable is part of The Colony along 7th Street in Uptown Phoenix’s latest hospitality district. 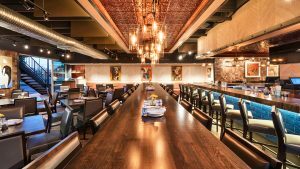 Offering a warm, inviting atmosphere with a menu developed by Chef Jared Porter, the food and experience are second to none. A centrally located bar invites guests to enjoy a drink while waiting for friends or family. 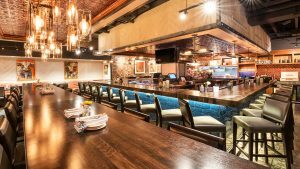 The main dining area features both indoor and outdoor seating and creates an upscale experience with natural lighting and a material palette that expresses warmth through its mild Tuscan style. The flavors from the menu and the details of the dining room all remind the guests of a cozy home. 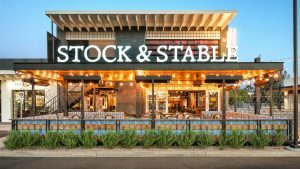 Food, craft microbrews, and artisanal cocktails await guests with a menu that shifts to match the season’s offerings.